Last year I wrote about making my tomato sauce from scratch—as any good gardener married to an Italian needs to do. But the truth is I have improved it this year with a new secret, thanks to another Italian. Over the years I’ve tried it all, and I think this year I’ve finally gotten it right. 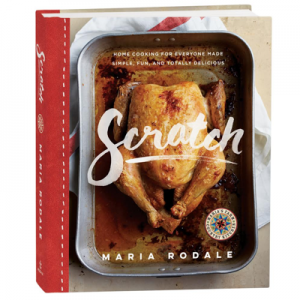 My friend Anya Fernald, who is married to an Italian who actually still speaks the language, insists that you must remove the skins and possibly the seeds when you make sauce. She grates her tomatoes on a cheese grater and removes the skins. I tried that this year, and the sauce turned out way too sweet for me—even too sweet for my kids! Although, when I went to see Eat, Pray, Love and I saw the scene where they were eating pizza in Naples I thought, there’s my sauce without skin—on that pizza. Now, that could be good. But back to the tomato sauce. My go-to method has been to use skins and all, but I have to confess that even after hours of cooking, my sauce can still be a bit watery. So I asked my friend Pat Corpora, who does not speak with an accent but was born in Italy and raised by his Sicilian parents. He told me that he and his wife (an amazing cook and painter herself) squeeze the juice out of the tomato before they puree the whole thing, skin, seeds, and all. Lo and behold, it makes awesome-tasting sauce that is not too watery. You can use the juice to drink, or add it to soup! I make giant batches of tomatoes, cook the sauce all day long, and then freeze it in quart-size glass jars that last all winter. To thaw, take the jar out the day before you need it or, if you forget, put it in the microwave for five minutes. Just don’t forget to take off the metal lid! 1. Take a big sauce pot and put it on the stove. Add a thin layer of olive oil. 2. Fill your blender, Vita-Mix, or food processor with cleaned and halved tomatoes, with every single bad spot cut out and the juice gently squeezed out into a separate bowl. 3. Add one or two raw cloves of garlic, 1 teaspoon of salt, and a sprig of basil, and blend to a frothy pulp. 4. Add the tomato/garlic/basil mix. 5. You can keep adding batches of the processed tomatoes to the pot until you are out of tomatoes. (Sometimes I’ll have 8 to 10 blenderfuls of tomato pulp). 6. Simmer on the stove for hours. Really, hours. You want the sauce to get reduced to at least half of its original volume. If you have the patience to wait longer, it will only get better. 7. Clean some wide-mouth mason jars, fill with the hot sauce, and put the lids on. Leave at least an inch of space at the top for the sauce to expand as it freezes. 8. When the jars have cooled significantly, put them in the freezer. Be sure to label and date them. 9. When it’s time to eat, you can use this as a base to make other sauces, or just use it plain. My favorite is to add a little bit of butter to the sauce, and then serve with Romano Cheese. Yum. As promised, we’re closing out tomato week on Rodale.com with Part 2 of the flavorful romantic film, Perennial Love. Will Lady Brandywine find true love with Count Roma? Will a stranger from her past spice things up, or turn everything sour? You can see Part 1 in yesterday’s post. Sounds wonderful. I am not sure I understand why to puree it if it falls apart in hours of cooking. Is there a difference in taste? Also, I have never put a jar in freezer because I thought it would burst. Has that ever happened to you? Sounds great, just need to find more room in a freezer. I use the zip locks. Is glass safer? How simple, I love it. I make a sauce very similar but with fresh oregano instead of basil, and I add peppercorns, but the rest of the recipe is identical. I put everything in the blender and make a bloody mary with the first batch, then reduce the rest until it’s a lovely deep red and thickens up a bit. You guys are hysterical! It had it all — hero, villian, twin, kidnapping, ritual death and….the ending we all crave. Thank you Rick and team!!!! 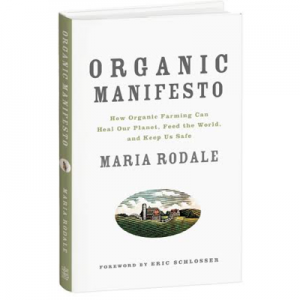 Oh to have been a fly on the wall while the Rodale, Inc. staff was making that video! Hilarious! The secret to freezing in canning jars is to use only wide-mouth bottles, those with no shoulders. The contents in the wide-mouth jars can freeze up through the neck without breaking the glass. Also, you MUST leave about and inch (or two) of space at the top of the jar because stuff expands when frozen — that’s what breaks the jars! I have always canned peaches. Last year I froze slices in pint canning jars with a “very lite” syrup. I have been using them all year. I put a wadded up piece of wax paper on top to keep them down in the syrup. I use them in my yogurt, and oatmeal (add pinch of cinnamon and brown sugar YUM.) Will probably freeze them from now on. Oh, thanks. I definitely will try it. LOVE the idea of canned peaches. Thanks a million. Delicious tomato sauce creation that should compliment any whole grain pasta or whole grain pizza crust. I anticipate a hearty cooking experience using the recipe. Between having a baby and moving this summer, I had to find a super easy way to preserve all of my tomatoes. What I ended up doing was just quartering the tomatoes, and then throwing them in a huge pot and letting it cook for several hours. I found I could cut up about 20 lbs of tomatoes in a half hour this way, or if I only got 10 minutes at a time, I could start them cooking and just add the rest when I got a little more time. After the sauce had reduced I then put it all though a food mill which took out all of the seeds and skins. From that point I froze some to just have plain tomatoes to add to a recipe and with the rest I added garlic and basil to make a nice sauce. I was able to process about 80 pounds of tomatoes this way in between taking care of a newborn and packing. Cook for about 30 – 45 minutes. Stirring frequently. the sauce will become thick by boiling out the water from the tomatoes. 5. Place in 32 oz or 16 oz plastic containers and freeze. Last for over a year. to defrost. Lift cover and place on top on container place in microwave for 7 minutes and then cook in sauce pot until hot. I made a batch this weekend and it is the best tomato sauce I have EVER had! The only change I made was to add a few shakes of red pepper flakes to give it some zing. And I only used about a teaspoon of salt for the whole pot. Next summer I will definitely grow more tomatoes now that I have found something delicious to do with them! I will try this tomorrow! Thanks!! By squeeze out the juices…exactly what was your process? I don’t squeeze out the juices…just keep cooking till the juice cooks off! (About 5 hours). This time I tried blanching the basil first, just like for my green pesto. Please go to my site mamagrecipes.blogspot.com. I am italian, owned a Pizzeria Italian Restuarant for 28 years and am married to a wonderful Italian born man. There are step by step instructions on how to make fresh sauce. All my family makes it this way for atleast 100+ years. I just received my new tomate mill machine and wow!!!! it really gets out the thickest pulp ever. Fresh sauce is not very thick sauce, so if you are looking for that type of sauce then don’t make the fresh sauce. The Italians in Italy use to lay out the tomatoes on a board in the sun to dry up a bit to make paste to mix with their cooking sauce/puree for a thick sauce. I like to read new recipes but the one you have for your sauce is not the way us Italians do it at all… and it doesn’t take hours to boil out the liquid. I cook mine for only 45 minutes. so, please you asked your friends and obviously they don’t know how to do it and using a cheese grater please… on 6 bushels of tomatoes is insane. I made this year 113 _ 32 oz of (we call it after my mother in law) Nonna Fina Fresh Sauce. We are all very honored that my mother in law taught us how to make Fresh Sauce and will always have her in our memories of the best sauce ever!!! By the way, our whole family is in the restaurant business – all from Italy and learned how to cook the old fashion way – with of course new techniques to make it easier. So, If you do read your comments then please read my blog for italian recipes. I too made tomato sauce this year, very similar recipe but added more “green stuff” for nutirition ( finely chopped kale, grated zucchini, oregano, parsley). I think that much energy would be saved in your method if you did not cook for so long and if you just sealed the jarred sauce without freezing. I find that frozen sauces become watery from ice build up, so the long cooking to reduce the watery texture at the construction stage is reversed when it thaws. Nice post Maria. I go back and forth between seeds, no seeds, skin no skin, both or neither. If I understand you correctly, the skin makes it a bit more tart since you said your skinless sauce was too sweet? I’ve never tested the same batch of tomatoes with 2 sauce recipes. Must do. There’s something I like about leaving skins on otherwise I feel like I’m getting rid of too much of the tomato. Have you heard about the study done that found that most of the tomato’s flavor being in the gelatin around the seeds? Now I seed mine into a wire mesh sieve and swish it around vigorously with a wooden spoon to capture the gelatiny liquid, which I add to the sauce. Not sure if I can tell the difference. I love this recipe! I have made it several times and find that its easy and the best flavour! I have use Roma and other tomatoes and find that they are all good! My son in law planted several types of tomatoes last season, he found he had some that were not a nice texture and tasted different he was going to throw them away! I looked on line and found this recipe made it, my son in law loved the flavour and he now makes tomato sauce from this recipe!!! Thank you for such a wonderful and simple clean recipe!!! This is an outstanding “skin on” recipe if you want to do homemade sauce with fresh tomatoes … great for pasta, pizza, or to freeze. I generally followed the recipe except that I added diced sweet onions (which I had in my garden). I used fresh chopped basil (also from my garden). I also used a potato masher, instead of a food processor, to blend the ingredients. (I sautéed the diced onions and diced garlic cloves in a bit of olive oil before mixing in the tomatoes and chopped basil.) I let the whole thing simmer on stovetop at very low setting (1 to 2) for about 9 hours. My batch today was enough for a couple of small pizzas and two nice quart batches to freeze. The sauce is outstanding. I’m sure my garden fresh ingredients made a difference, but it would probably make nicely even with store-bought ingredients. Thank you for the recipe, my family really enjoyed the sauce. Like the others with Italian bloodlines and restaurant histories; my grandfather came over here at age 4 from eastern coastal Italian rocky, terraced farms and stone mason’s villages. Papa made the sauce and breads for his French/English wife and family over all the years, and that heavenly, perfected taste of Neapolitan gravy was gently planted in my tastebuds and heart from earliest life. I could not cook anything without the memories controlled by my pallate and nasal history. There is actually one tomato “sauce” company that makes this exact flavor and their ingrediant list is true to what Papa used: Beef and Pork Sausage (trimmings, and sometimes Veal); nothing was wasted from roasts, it went to enrich the next gravy. Americans overlook the actual true Roma pear tomatos used in making tomato sauce; in our zeal for gigantic, over-edemic tomato hybrids. Without the Pear tomato, you cannot get the right degree of meatiness to the tomato flesh needed to begin the process of sundrying or slow-roasting the tomato meat. When sundrying, the sun “heats in” the goodness and nutrients of the inner juices, right into the meat. 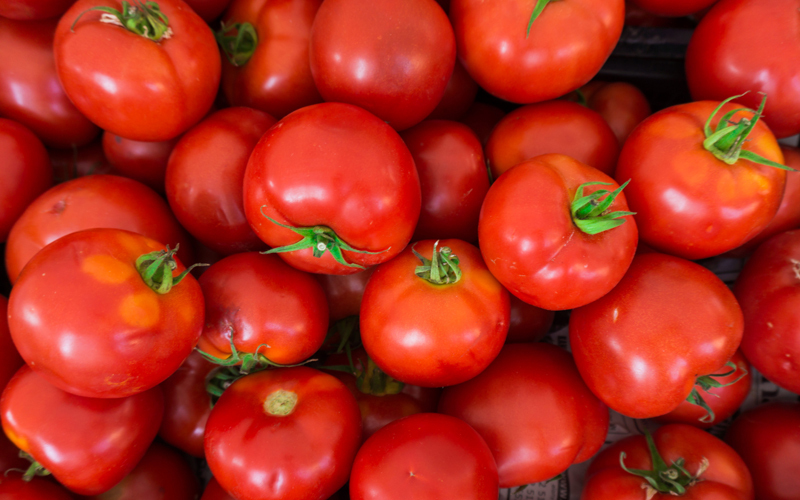 If the tomato is pierced to drain liquid, which you can do to speed thing up, it was to likely that fruit gnats, flies and germs or mold spores would enter those holes no matter how small. You would have to give the pierced, drained tomato a complete envelope of safety. You can do that, in fact, today’ fruit/veg dryers give the drained, cutup pieces such a safe environment. Okay, so, 2 important points; the time to cook your dried-meat, fresh tomato and other ingrediants to blend and thicken the sauce: the lady with the 45 minutes wins the prize. An hour would suffice for someone newer to the process, from the time it’s in the pan and you turn on the heat. You have cut up your tiny onion pieces, garlic, pepper, and then you’ve pre panfried your sausage and pork and beef. These can also be ground tiny enough to be made into meatballs. Some folks actually take prepared packages of sausage and beef or beef and pork from their grocer’s thoughtful offerings meant for meatballs) and use that preground meat mix to lightly saute without browning or crisping it, and adding that to the pan you will make sauce in. Puree’ing onion, garlic, Basil and any other spices such as a bit of Oregano and Red Bell Pepper powder (like onion powder) is a handy step not available to our ancestors who only had a slab table and some knives. Most folks don’t know that for Pizza tomato sauce, you DO NOT use oregano at all; that flavor is strictly Sweet Basil! Another critical factor to plump sauce is the temperature you stove top cook it at, though I know of a few families who used the coal or woodfired oven to slowly roast their sauce, as in a Dutch oven, covered, low heat. That process can take the longer cooking times Americans erroneously built onto the sauce preparation methods of stove top cooking. You must use low heat. If you see any boil at all, anything over a simmer starts to break down the delicate unseen factors that hold together the liquid pulp that tomato sauce is. I hint that there are some very healthy cooking thickeners out there, but won’t say more, for fear of offending the purists, but I use them at times for other gravies, so why not for tomato gravy? Today, we have the anti-gluten movement to thank for spurring production of wondrous wheat alternatives; like Organic Long Grain brown rice flour!!! There is also Garbanzo Bean flour, which I am sure any Italian would approve of! These are good, natural, highly nutritious thickeners that will not pollute your base flavor, and Bean flour is said to be naturally sweet, as are the onions. You are counting on a lot of onions cooking into your sauce, that will sweeten it and you won’t add sugar or the deadly corn syrup that most sauce manufacturers use! Just remember that the onions should not be added raw to the sauce, that is what makes us think our tomato sauce needs to boil for hours…to bring those raw things into an edible condition. Wrong! You will presaute onion, Bell pepper in a pan separate from your sausage, pork, veal or beef, and cook til translucent, slippery, in a light Olive Oil or unflavored Coconut Oil, making your sauce a healthful, therapeutic thing! The best way to have a smooth plump sauce is to spend the time pre-dicing and mincing or puree-ing those onions, peppers and any other ingrediants, like carrot puree. Then, you have no reason to overcook your sauce, everything will be thick, fresh, not destroyed or boiled out to bitterness and flat tastes. I know one of my grandma’s would do the cook for hours thing in big restaurant cauldrons, and her sauce was not even in the same world as Papa’s sweet, rich, smooth, exciting and savory satisfaction on the pasta. I could just eat spoonfuls of such fresh, smooth tomatoiness, the garlic and sausage being key tastes….there are other regions of Italy that have their own distinct ingrediant-controlled sauces, but the Napolitan was ours and it’s one of life’s greatest treats every time I smell and taste it. Don’t forget that we now have availalble gluten free pasta made of nothing but organic brown rice flour and water! Wow; this cooks up just like pasta, available in all pasta shapes, takes the same 15-30 min to cook, but it holds up without gettting soggy when cooked long or after storage, cooked! You can freeze the cooked rice pasta and not get a bad surprise when thawed. Hope you will try the sausauge/garlic/basil based sauce, and you can get the Classico Italian Sausage and Garlic in a reusable Mason jar to know what flavor yours should become; I am proud of Classico’s efforts at authentic Italian sauces from all the regions and histories. LIke making pudding, tho; it is not easy to hold the tomato texture from precooking thru cooking and blending. I hope you won’t give up if you do not get it right at first; and remember that you will always have watery sauce if you overheat, overcook the tomatos, or if you don’t boil your pasta and colander/drain it immediately after taking it from the heat…do not let the pasta stand in its water after turning off the heat; you need the hot pasta’s steaming off of excess water, if it cools, it won’t steam off. If I make tomato sauce with meatballs but take the meatballs out before I can the sauce how long do I pressure can the sauce in quart size jars under 1000 feet. I’ve now made 3.5 quarts of this sauce, and love it! It’s flavorful but simple, and will be an easy base (when I go to use it, I may add some chopped onion and bell pepper for spaghetti sauce, or cooked hamburger, or sausage–whatever sounds appealing that day). Thank you!!!! I squeezed the juice and most of the seeds/gelatinous stuff into a bowl, then strained out the juice using a fine mesh sieve, and put the seeds/gelatinous stuff back in the blender. Not sure if that’s what I was supposed to do, but it tastes great!